Julia Meister studied Geography at Freie Universität Berlin with a focus on Terrestrial Systems. After achieving her Masters degree in 2011 she has started a doctorate within the program “Landscape Archaeology and Architecture” (LAA) at Berlin Graduate School of Ancient Studies and FU Berlin with special investigations on landscape archaeology in Northeastern Jordan and its socio-environmental systems in the late prehistory, which she finished in 2016. 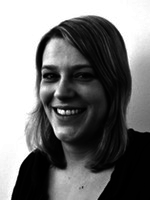 From 2012 to 2013 she worked as a researcher within the Badia-Project at Deutsches Archäologisches Institut. Since January 2014 she has been working as a researcher at Institut für Geographische Wissenschaften of the Freie Universität Berlin. (A-1-5-1) Human-Environmental Interactions in Northeastern Jordan.